It’s no surprise that many people love Chocolate Brownies and these deliciously gooey, squidgy, fudgy, moist and rich with chunks of mixed nuts for extra decadence will certainly be a winner. 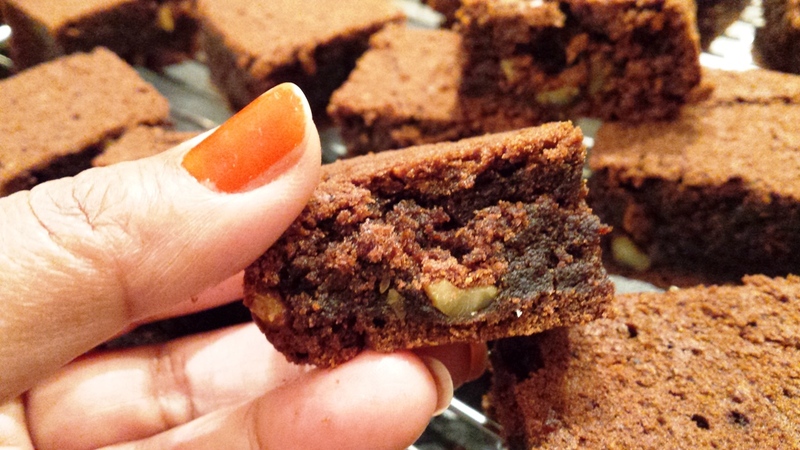 I find orange and chocolate make a great couple, for that reason I added some orange peel to this rich brownies. Since I have been making a lot of egg free cake lately, I have been wanting to make brownies that would suit vegetarian and today while I was sorting out what to make for Diwali this year, I decided to do these. It’s a revised version of my Chocolate cake with a few changes….and gosh I am overwhelmed with the results. I am sure if I tell you that I am not a very keen chocolate cake person, many of you will be surprised since I always post chocolate bakes (most of which are for friends and families). I used to love chocolate when I was little, still do but with moderation. But these brownies have taken me back to my childhood, they are so light moorish they reminded of a cake I used to love called “Madrie”, I think that’s how it’s spelt??? 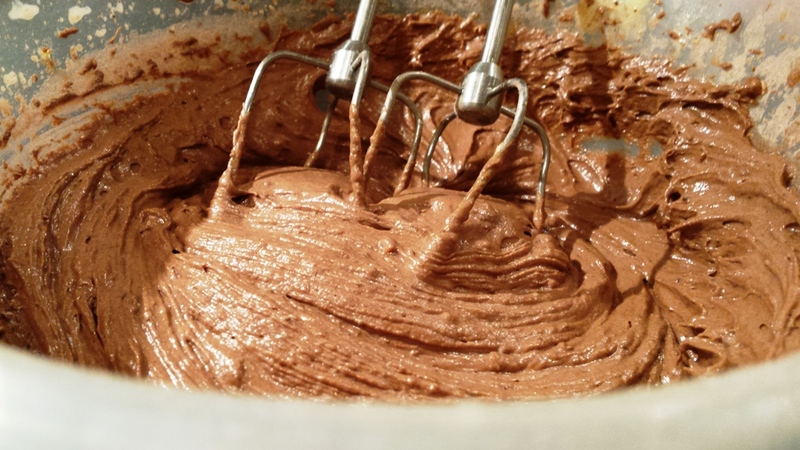 And for that reason I simply had to share this recipe….childhood memories. It’s a great pleasure to share something that many like, as it’s Diwali and its a time of celebration light – good over bad things and these will certainly bring a big smile to many people’s face. I know for many people being gifted or offered anything chocolaty is always a delight. Chocolate brownies are not the usual kind of sweet we make for Diwali but this year make it a little different try make these a super delicious sweet treat to share with family & friends. You can make them in advance and keep them safe, I do mean “safe” because you might get tempted….. Beat in the yoghurt. Dissolve the coffee granules in two tablespoons of warm water and add to the mixture. Gently fold the dry ingredients into the wet mixture. Fold in the chopped nuts to the fairly wet batter mixture. Spoon the brownie batter into the prepared tin. give it a tap/shake and level out the top with a spatula. To serve, cut into squares (dust with either cocoa powder or with icing sugar, your choice). I personally prefer to have them as they are.